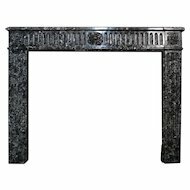 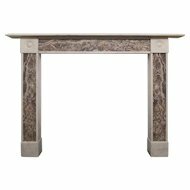 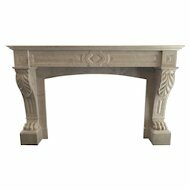 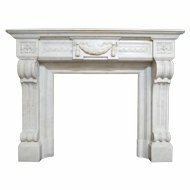 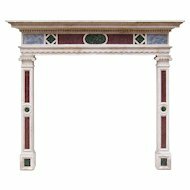 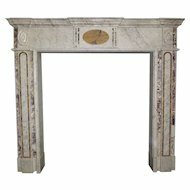 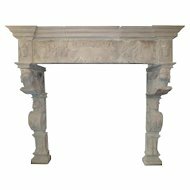 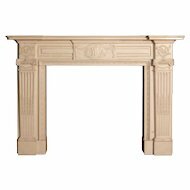 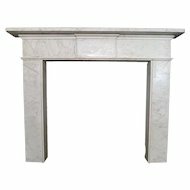 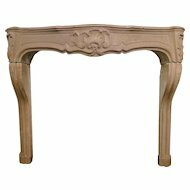 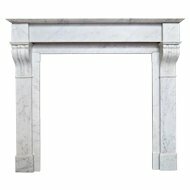 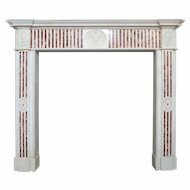 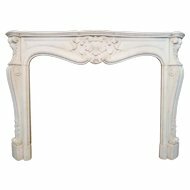 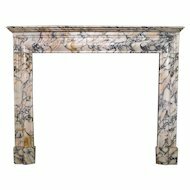 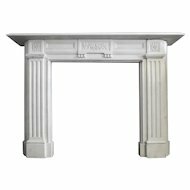 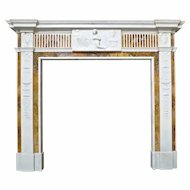 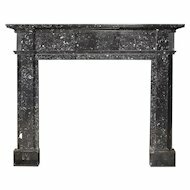 A late 18th century, French Louis XV style mantel in richly variegated Sarrancolin marble, with a unusual copper and brass insert. 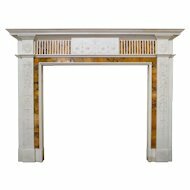 The panelled frieze with plain medallion to centre and fielded corner blocks, supported by cantered jambs with carved descending bell drops. 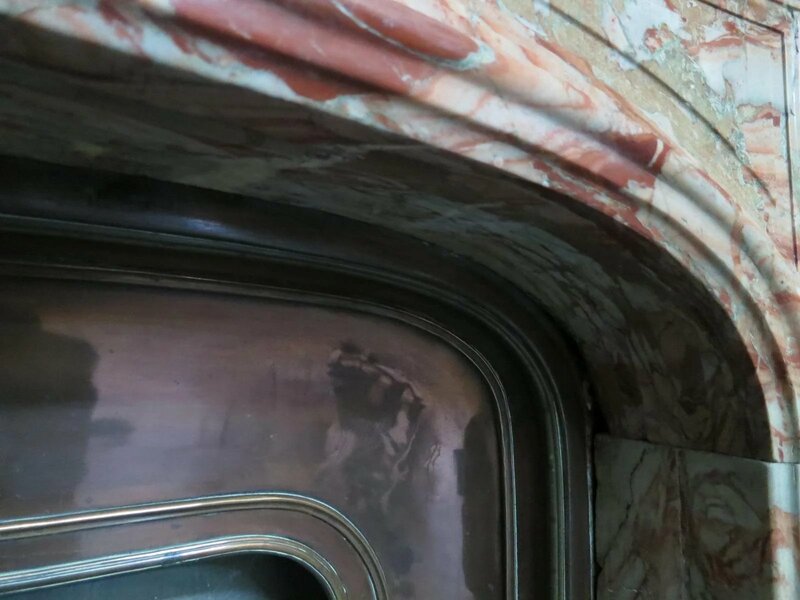 All beneath a wide serpentine shelf.